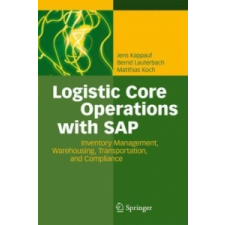 Van véleményed a Logistic Core Operations With SAP – Jens Kappauf,Bernd Lauterbach,Matthias Koch termékről? Értékeld! Tedd fel kérdésed a(z) Logistic Core Operations With SAP – Jens Kappauf,Bernd Lauterbach,Matthias Koch termékről!